It was Andre Russell who once again showed his prowess with the bat and bailed out Kolkata Knight Riders (KKR) from a difficult position to help them win the match. Russell smashed 48 off just 13 balls while coming to bat at number six. Russell power hitting received praise from all over including Kolkata Knight Riders team owner and Bollywood Superstar Shah Rukh Khan. 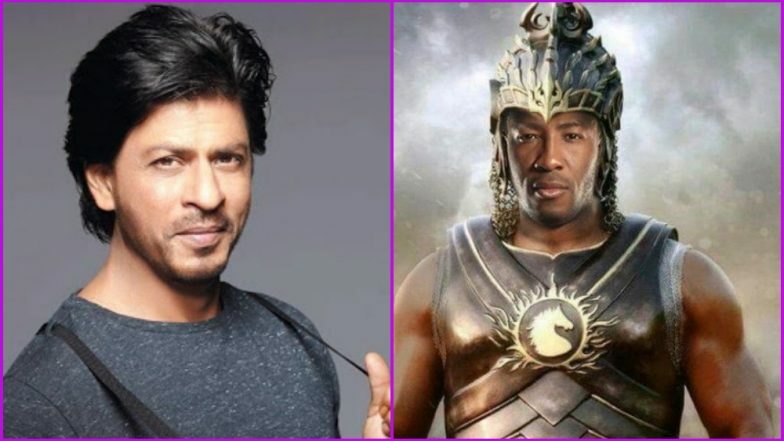 SRK was so impressed with Andre Russell's match-winning knock in Friday's game against RCB that he shared a picture of Russell as the mighty Bahubali in one of his tweets. Andre Russell's 13-Ball 48 Powers KKR to Victory, Hands 5th Defeat to RCB in IPL 2019, Twitter Goes Berserk with Memes. “Well played boys @KKRiders @lynny50 @NitishRana_27 @robbieuthappa . Each one in the team did so well but you all will agree all words of praise r worth less than this picture,” wrote SRK along with picture. Funny RCB Memes Go Viral As Andre Russell Onslaught Shocks Virat Kohli & Co. in IPL 2019 Match 17. SRK Praising the Muscle Man! Since the start of Indian Premier League 2019 (IPL 2019), Russell has been in top form with the bat. In all four matches, the Windies import in Knight Riders team has made a major contribution with the bat. RCB vs KKR Highlights IPL 2019: Andre Russell Hands Royal Challengers Bangalore 5th Consecutive Defeat. Against Sunrisers Hyderabad (SRH) Russell scored unbeaten 49 off just 19 balls, followed by 17-ball 48 against Kings XI Punjab (KXIP) and 62 off 28 balls against Delhi Capitals (DC). And Russell has arguably come up with the best knock of this season against RCB.